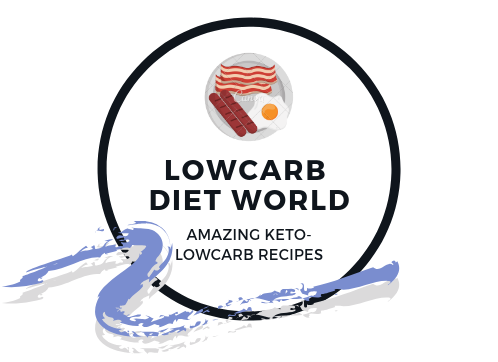 I’m an avid cook and over the years I have tried just about every low carb technique for making bread substitutes. This one is astoundingly good: Light and fluffy, can absorb egg yolk, tastes almost flavorless and not gritty so it can handle simply being buttered. Be sure to drink lots of water as psyllium husk is pure fiber. I modified the recipe below by not using a mixer and making balls instead of hot dog bun shapes. Moisten hands and form dough into 4 or 8 pieces of bread. You can also make hot dog or hamburger buns. Place on a greased baking sheet. Serve with butter and toppings of your choice. Store the bread in the fridge or freezer. Sprinkle seeds on the bread before you pop it into the oven – poppy seeds, sesame seeds or why not some salt flakes and herbs? If you make this recipe into 6 pieces of bread they each contain about 2 grams of carbs. What do you do with the three leftover egg yolks? Béarnaise sauce, of course! Birthday cake with ‘sprinkles’ and a white chocolate frosting! Thank you for the recipe! Just made my 8 buns! Delicious! Had them with butter! Doesn’t adding boiling water to egg whites cook them on the spot?? I have the same question. Am I reading something wrong? They will not scramble. I poured the hot water over the dry ingredients and mixed. Then added the vinegar and egg whites. Didn’t scramble at all. It is kind of difficult to combine the egg whites though. Because of the psyllium powder, the dough is gelatinous, so it won’t absorb the whites right away. You have to sort of work them in. I added a coment about my experience with it (way to much liquid) but I figured out out at the end. This looks amazing!! A few questions. 1. Under the instructions you have “Bring the water to a boil and add it, the vinegar and egg whites to the bowl.” I’m a little confused l, do I add the boiling water, vinegar and eggs together? 2. Why use just the egg whites? Is it less Keto if we don’t use the yolk as well? If you can’t get 5 tablespoons ground psyllium husk powder what can you subsititute with? how can you make this into a loaf? I made 6 rolls but they were small. like dinner rolls. I made these and I don’t know if it was my Husk powder it wasn’t that brand and it was darker , they were gooey in the middle after cooking for EVER !!! wine vinegar instead of lemon juice. Do u have a macro count anywhere… Maybe I missed it? I used Nature’s Eats almond flour and Now psyllium husk powder; I made 6 hamburger buns and calculated the macros per each as: Cal – 175; Fat – 12.5g; Carbs – 2.7g (net); Protein – 5g. Would like to know your daily eating pattern and recepes ane etc. please. Thank you. What is psyllium. Just powder and where is it sold? Have you modified this into a loaf of bread? How would that change cooking temperature or cooking time? Do you have any video with the procedure? I tried this bread 3 times and the consistency is very sticky and it does not allow me to make the bread balls. The same thing happened to me. Reduce the amount of water to 3/4 cup. Dont’ expect the dough to be like regular dough. It ill be sticky and lumpy, and kind of gelatinous. If it is too wet and wont bind, just keep adding small amounts of almond flour, till it is “dry” enough to form the balls. Do a little egg wash over them, and sprinkle with herbs or seeds and a some salt. It is delicious. Үes! Finallү someone writes about natural therapy. I cooked mine for 30 mins, center still gooey. What did I do wrong? The recipe says bake for 50 – 60 minutes. They needed more time. I am confused. “Pieces” of bread? Or loaves? Doesn’t the boiling water cook the egg whites immediately? Brenda, I’ve seen a video in instagram where this lady makes this exact bread. She waits to add the egg whites until the mixture has cooled off to add the egg whites. So they don’t get cooked by the boiling hot water. I just made these, (kinda) instead of baking powder,use 1 tsp instant yeast. Taste is like a yeast bread. To answer the question about hot water and egg whites, i let the dough rest a bit, to cool down,then added the whites, vinegar, and yeast. Made six 3.5 inch dark buns. Good for hamburgers. I followed the recipe exact and my batter is liquid. Help! Mine don’t ever rise! Why? I followed the recipe to a t 6 times now…and only once they rose. Make sure your baking powder is still good. Pour some over a cup of hot water. It should fizz. How many carbs per roll? Can I use Glucomannan ? If so how much? If i use coconut flour, how many cups of it and psyllium husk ( tbsp)? I really love your web site, it has good information, Have a nice day! Ok, So I have been eyeing this recipe for a couple of weeks now, hesitant to try it because of the not so clear instruccions, and the unanswered question of “will the egg whites scramble with the hot water?”. But I was desperate for bread, so I took to YouTube to see if I could find a video of someone making this. Low and behold, there were several! So now that I had a visual, I felt more confortable trying it. I live in the islands most of the year, and Keto ingredients here are an arm and a leg, so I can’t afford to be wasting them. First of all, let me answer the question: No, the egg whites won’t scramble. Even if you don’t wait for the dough to cool down after putting in the hot water. I didn’t wait. I poured the hot water over the dry ingredients, mixed, and proceeded to add the vinegar and the egg whites. Didn’t scramble one bit. How ever there’s a few things you should know. A lot of people complaint that there was too much liquid, and the dough was too wet. I found this definitely to be the case. I had to throw away my first batch. It was a broken down, gelatinous mess, sitting in a pool of egg whites that just wouldn’t mix. But I refused to give up, so, I tried it again. The first time I tried adding the water slowly. I started with 3/4 cup of water as recommended by someone else, but thought the dough looked dry. So I proceeded to add the rest of the water slowly, hoping it would make it more workable. Big mistake. It turned into a mess, and when I added the egg whites, it just sat there, in a pool of them. Would not mix at all. The second time, I added the water all together, and mixed. Much better, but when I added the egg whites, again, too wet, but was holding better this time and absorb a lot of it (but was still too wet, and still had some that just wouldn’t mix). So instead of throwing it away this time, I started to add more almond flour. It worked! It started to “dry” and to bind with the egg white. I continued to add until it became “dry” enough to form “balls”. Now, I was worried, the balls were sticky and lumpy, I couldn’t really roll them around in my hands, so I just sort of pressed shaped them into lumpy balls. But they were holding together pretty well. I did an egg wash, like the guy in the video, and sprinkled with lots of Italian seasoning. This adds great flavor. You can sprinkle whatever herbs, seasonings or seeds you like. They turned out great. However, took way longer than an hour. More like an hour and a half. That’s because of how wet the dough was. Next time I will only do the 3/4 cup of water. And I will add two teaspoons of salt instead of 1, because I found it to be somewhat bland. However the taste and texture were just like regular break. I put butter in it while hot, and sprinkled some salt over the butter, and it was delicious. I can’t wait for tomorrow, to try it with a burger! P.S. It is important to make sure your baking powder is still working. Pour some over a cup of hot water. If it fizzes it is still good. Try this, it really works. Don’t get discouraged if you mess up the first time. Don’t spect the dough to be like regular dough. It will not completely bind together. It will be sticky and lumpy, but will bake beautifully. I made these today and followed the directions pretty closely except that I don’t have a hand held electric mixer so I used a flat whisk (not the balloon type). I also added 2 T. of nutritional yeast to give it some flavor and extra nutrition – it also has lots of fiber. I mixed all the dry ingredients well. In a separate bowl I stirred the egg whites and mixed in the vinegar. I poured the full cup of boiling water over the dry mixture and started to stir to get all the dry ingredients wet then quickly added the egg white and vinegar mixture. I know that psyllium husk absorbs water and becomes gelainous. At first it seemed way to wet but I kept stirring – maybe a minute then it started to come together so I kept stirring. Yes, it’s a messy, sticky mass. I sprayed a large ice cream scoop and got 7 “buns”. Instead of leaving them big and round, I pressed them down a little. They didn’t really rise when I baked them (yes, my baking powder was good because it all foamed like crazy when I added the water to the dry mixture). That said, next time I’ll try the egg wash and some herbs or seeds. I tried one buttered and it was pretty good despite being pretty flat. It’s not possible to use it as a hamburger bun – it’s only about 1/2″ high but it tastes surprisingly better than I expected. To keep my husband eating keto these will be key because he likes a slice of bread every morning to dip in his coffee. I think these will do the trick. A BIG THANK YOU FOR A GREAT RECIPE! These buns looked SO gorgeous right out of the oven (I made 6), but when I cut into one, with my bread knife, the top 2/3 of the bun was hollow 🙁 They tasted alright though. I followed directions explicitly. I don’t see any other comments about this happening to anyone else. All my ingredients are fresh. I had the same issue and was disappointed with this recipe. Any suggestions?